Air Ambulance / HEMS Services Save Lives. But What Happens When Hedge Funds and Private Equity Money Control the Purse Strings? Many years ago, I worked as a sheriff’s deputy and K9 handler in the north Maine woods. If you were severely injured, the nearest level one trauma center was hours away. 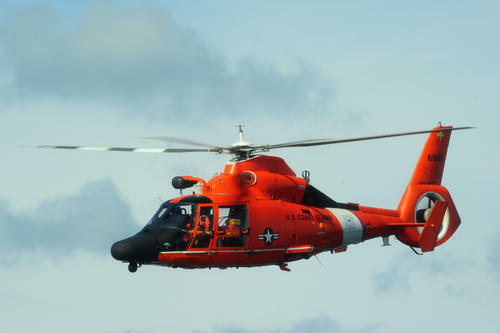 For a logger severely injured in the backwoods, a lobsterman living on one of Maine’s hundreds of islands or a motorist badly hurt in a crash hours from Portland, Bangor or Lewiston, helicopter EMS (air ambulance) makes sense. In Maine, that service is provided by LifeFlight of Maine, a not for profit company. I have been on a LifeFlight chopper and fully appreciate that the medical crews manning those airframes are heroes. I begin this post praising the crews of Helicopter Emergency Medical Services (HEMS) because my beef is not with them. In the many years since I served in uniform, HEMS has exploded. In many areas of the country it is now a for-profit service or is operated by hospitals that treat it like a profit center. At the heart of the HEMS debate is utilization. When is it appropriate to call for a helicopter? If you are on an island in Maine where it might take hours to get a boat to take someone to a hospital, it is a lifesaver and medically necessary. Fast forward to 2012 when I was parked on I-94 20 miles from Milwaukee. I was “parked” because troopers shut down the interstate after a horrific collision. A chopper was called in to take one of the victims 17 miles to the trauma center. Would it have been faster to take an ambulance? Probably much faster. EMS World reports a 2002 study in the Silicon Valley area of California. A review of 947 helicopter EMS flights found that very few patients benefitted from having a helicopter instead of an ambulance. In fact, over one third of the patients were treated and released by the emergency room and never even admitted! That study was in 2002. We think the situation is actually worse today! The University of Texas hospital in Galveston elected to terminate their air EMS service. Many were fearful that transport times would increase or more lives would be lost. Those fears were thankfully never realized. There was no increase in transport times or increase in mortality rates. Since the 2002 study, the U.S. air ambulance fleet has doubled in size. There are now 1,515 helicopters making 300,000 flights per year. Worse, many of those new helicopters are owned by for profit companies. Bloomberg reports that several of those for-profits are owned by private equity firms. Is that illegal? No, but it certainly raises red flags. Private equity and hedge fund managers are looking for quick and huge profits. And in our experience, we often see fraud, false billing and overutilization occur when private equity gets involved in healthcare. Although the number of helicopters has doubled, the number of medevac flights per helicopter has decreased. That means the cost of each ride is going up. How much? Bloomberg says the average charge for a patient transport is approximately $50,000! Ten years ago, it was $13,000. Unfortunately for consumers, health insurance won’t cover these costs. In fact, Medicare pays just $6,893. Medicaid pays even less, $4,240. Who pays the difference? Patients. Unless, of course, the bills are so overwhelming that they are forced into bankruptcy. Despite the huge disparities between the air EMS bill and what insurance pays, these private companies are still making a profit. We understand that even some of the non-profits are getting so squeezed that they too are participating in questionable conduct. One EMT tells us that the hospitals don’t mind losing a little bit of money on a helicopter run, especially if the patient has private insurance. Why? Because a seriously injured patient can bring in tens of thousands of dollars in subsequent medical billings by the hospital. States can regulate conventional ambulance bills but are powerless to force helicopter EMS companies to control costs. That’s because air ambulance companies are exempt from state rate setting. Through a quirk in the law they are considered to be an air carrier just like an airline. And that means their rates are beyond the reach of the state EMS regulators. And that brings us to our investigation. We are currently investigating whether any of the air ambulance companies or hospitals that operate a helicopter EMS service are paying illegal kickbacks. The federal Anti Kickback Statute makes it illegal for a healthcare company to give anything of value in exchange for obtaining patients. The kickback doesn’t have to be in cash, either. A hospital that gives free medical supplies, for example, in return for first responders calling for a helicopter transport would be one form of a kickback. Kickbacks are illegal because Congress believes that medical decisions should be based on the best interests of the patient. Not on who pays the most. In 2003, CMS issued an advisory opinion that said in very special circumstances, a hospital could provide a landing pad and crew quarters at no cost to a for profit helicopter EMS service. In issuing the opinion, the agency found that the state had a statewide mandated trauma care plan that would prevent the arrangement from steering patients to the hospital. On paper that sounds great. We are aware of a recent case in Chicago, however, where EMTs were being given cash to say a patient requested transport to a specific hospital. That lead to critical care patients driven miles away to the hospital paying the kickback even though there were closer trauma care facilities. We are aware of no case yet where a helicopter EMS service has been prosecuted for kickback but there was a related case in Georgia. In Hospital Authority of Gwinnett County v. Jones, a Georgia state court jury found that the transport of a patient who had sustained serious burn injuries was dictated by “consideration of potential economic gains for the receiving hospital”. In other words, kickbacks. The jury awarded the plaintiff $1.3 million against the hospital and $5,000 against the ambulance service. In that case, a trauma center with a dedicated burn unit was located approximately 15 to 20 minutes away by helicopter. But the defendant hospital was closer by ground. Even though there was an air ambulance already en route, the patient was first transported by ambulance to the other hospital only to be sent on anyway to the trauma center. The jury was evidently furious that the decision to bring the patient to the first hospital was motivated by money instead of the best interests of the patient. We believe that the influx of hedge fund and private equity money into the helicopter EMS world will or has caused some folks to pay bribes or kickbacks. We have seen it over and over in the ground EMS industry. We already discussed why kickbacks are bad. It hurts taxpayers and can endanger patients. Congress knew that many folks might be reluctant in reporting these illegal kickback schemes. That is why they passed the False Claims Act. Under the Act, the Justice Department and courts can issue monetary rewards for people who step forward with information about Medicare fraud, Medicaid fraud and kickback / patient referral schemes. Under the law, awards of 15% to 30% of whatever is collected from the wrongdoers is given to whistleblowers. But you must have inside information about the scheme and generally be the first person to step forward. Congress also knew that retaliation might sometimes be a problem. Under the Act it is illegal for an employer to fire or demote whistleblowers. The law has some real teeth, too. Employees who are the victims of illegal whistleblower retaliation can collect damages, double lost pay, lost future pay and even attorneys’ fees. or by phone at 414-704-6731. All inquiries are protected by the attorney – client privilege and kept strictly confidential. AirCare – University of Mississippi Medical Center, Mississippi. CAMTS certified with bases in Jackson, Meridian, Columbus, and Greenwood. Covers the entire state and transports all age groups. AirCare flight teams consist of a MS-CCP and a Flight Nurse. Air Evac – (fixed wing) Arizona, United States, Canada, and Mexico. Air Evac Lifeteam – Alabama, Arkansas, Georgia, Illinois, Indiana, Iowa, Kentucky, Mississippi, Missouri, Ohio, Oklahoma, Tennessee, Texas and West Virginia. AirLife Georgia (Air Methods Corporation) for profit – serving Georgia, Florida Tennessee, Alabama and South Carolina. AirLink Critical Care Transport – Oregon. Angel MedFlight – No details available. Calstar (California Shock Trauma Air Rescue) nonprofit serving California and northern Nevada. CareFlite (Baylor Scott & White Hospitals, Parkland Hospital, THR hospitals, JPS Hospital, and Methodist Hospitals) – Texas. Critical Care Medflight (fixed wing) – Georgia and Florida. EagleMed – Based out of Wichita, Kansas and has multiple operations located in the midwest. Enloe FlightCare – Enloe Medical Center – California. Life Flight – Memorial Hermann Hospital- Texas Medical Center – Houston, Texas. LifeFlight – University of Massachusetts – Massachusetts. Life Flight Network – Largest non-profit air ambulance in the US – Oregon, Washington, Idaho, and Montana. Lifeguard Aeromed (fixed-wing) Fort Worth, Texas serving the United States, Mexico, and Canada. Life Link III – Minnesota and Wisconsin. LifeNet for profit owned by Air Methods. Serves Kansas, Missouri, Iowa and Nebraska, South Dakota and Minnesota. Life Star – Based out of Hartford (CT) Hospital. LifeTeam – (fixed wing and helicopter) – Kansas, Nebraska, Texas, Nevada, and Hawaii. MedAir – – Midwest Medical Transport company – Nebraska and Iowa. Mercy Flights -Oregon and northern California. Metro Life Flight – operated by MetroHealth – Ohio. Omniflight Charleston – South Carolina and Georgia. PennSTAR Flight – Eastern Pennsylvania and parts of New Jersey. REVA, Inc. – (fixed wing) national coverage. ShandsCair Critical Care Transport Program – UF Health Shands Hospital (fixed wing and helicopter) – serves central and north Florida. SkyHealth – Air ambulance service of Yale New Haven Health in Connecticut. Texas LifeStar in Central Texas. Trauma Hawk Aero-Medical Program – Palm Beach County, Florida – taxpayer funded. Trinity Air Ambulance International, LLC – (fixed wing) Worldwide service. US Air Ambulance – (fixed wing) Worldwide service.